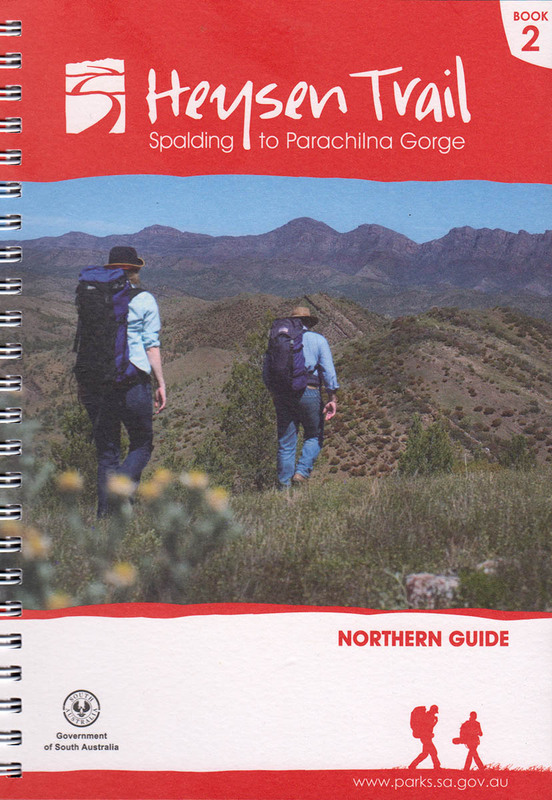 This page provides help information to assist in using the Googlemaps page of the Heysen Trail. The Google map of the Heysen Trail with layers showing photos, huts and campsites, re-routes, Fire Ban Districts and Tourism Regions. When walking on the Trail this map is not a substitute for the official guidebooks. Hide the Map Key to reveal all the Google Maps zoom, pan and Streetview controls. You can download the KMZ file for use in Google Earth via our Maps & GPS page. You can download the GPX file for use on a handheld GPS unit via our Maps & GPS page. Zoom into the map by using the “+” and “-” tool on the sliding scale in the top left hand corner of the map. Hide the Map Key to reveal the zoom control. You can move around the map simply by moving the map with your mouse when a hand icon appears, or by using the up, down, left and right arrows in the top left hand corner of the map. Using the small magnifying glass icons that appear next to each Chapter name in the first red outlined box, you can zoom into specific areas. Select the magnifying glass next to the heading “Trail Line” to return to the original view showing the whole Heysen Trail. There are three viewing modes available: map, satellite and terrain. Change between views at anytime by selecting the button in the top right hand corner of the map. The quality of satellite imagery across the trail length varies greatly, some areas are fuzzy or obscured by small amounts of cloud cover. Future satellite imagery updates should improve the view of poorer quality sections of the trail and improve the GPS to imagery alignment. There are layers available to show additional information like photos, accommodation options and Fire Ban Districts. Please note though that turning on many layers may slow data processing times, and some layers work best when zoomed in. 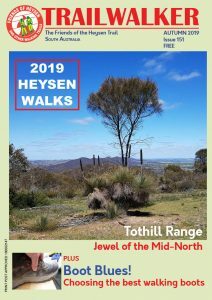 Select the Map Boundaries checkboxes to assist in comparing the on-screen map to the maps in your official Heysen Trail guidebook. 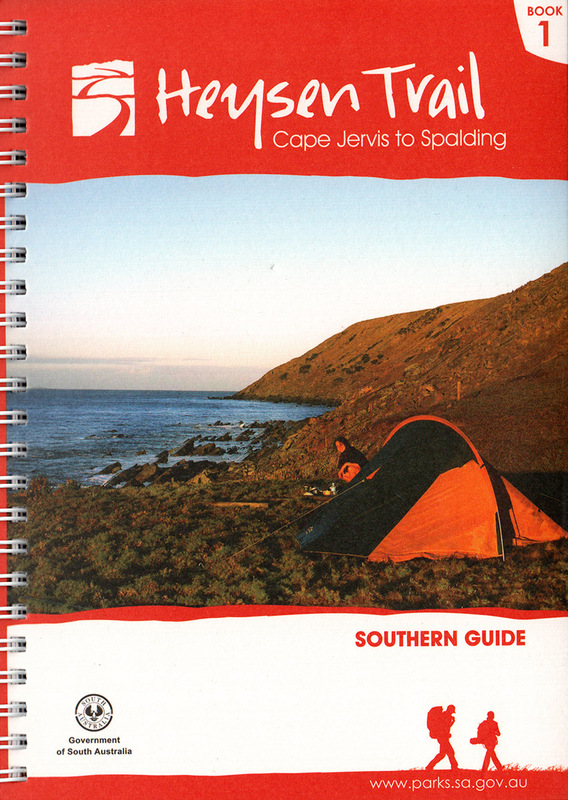 Select the grey square in the top left hand corner of a map boundary to see a pop-up window detailing which guidebook map the grey box represents. Select the “Accommodation” checkbox to view, comment and rate accommodation options along the Heysen Trail. By selecting an icon a pop-up window will provide a link to further information in the Accommodation Forum. Although primarily focused on campsites, huts and shelters along the Heysen Trail, you can also comment on other facilities near the trail. To view or print all the accommodation options in a list, visit the Accommodation page. Re-routes are now shown as part of the trail. More information about each re-route is available, including pdf maps to print and insert into your official guidebook. The photos checkbox will load a number of photos from iconic sections of the Heysen Trail. Selecting Panoramio photos will load Google Earth users’ photos. You can upload your own photos along the trail by visiting panoramio.com. Often when you zoom in more Panoramio photos will appear. Select this checkbox to determine where the scheduled start and finish points are for End-to-End walks. Please note however, these points may be varied as logistical requirements dictate. Selecting this checkbox will load the boundaries of the Tourism Regions – useful for finding accommodation and tourist information along the Heysen Trail. Click anywhere on the coloured boxes that appear to bring up a pop-up box providing information and links. Selecting this checkbox will load the boundaries of the Fire Ban Districts – useful for determining which Fire Ban District your planned hike is in. Click anywhere on the coloured boxes that appear to bring up a pop-up box providing information and links.